Started by 2 brothers, Prairie Artisan Ales began not due to a lack of good craft beers, but because they wanted to make better craft beers. The talented brothers have years of brewing experience between them, and knew they had what it takes to turn their dream into reality. Prairie Bomb! is a favourite amongst the craft beer community in SIngapore! Its a light, crisp saison with a hoppy finish. This beer is dry hopped 1lb per bbl with Motueka hops. A lovely New Zealand hop with a spicy lime like flavor and aroma. Eliza5beth is a golden farmhouse ale that was aged on apricots to allow sourness and light fruit flavors to add complexity to the beer. Prairie Ale is fermented with a mix of ale yeast, wine yeast, and brettanomyces. Notes of black pepper and pineapple can be found in this beer. A healthy dose of saaz hops are used to add a spicy element to the beer. Birra is a light, sessionable farmhouse ale. It is crisp with notes of black pepper and orange. Prairie Brewery has many more seasonal brews. 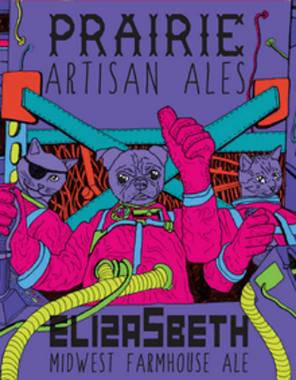 The Drinking Partners is the importer and distributor for Prairie Artisan Ales in Singapore.